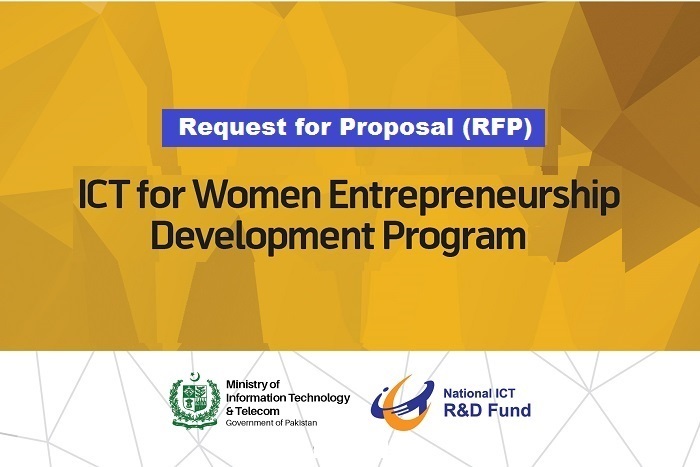 National ICT R&D Fund is inviting proposals from qualified applicants to provide ICT training to women entrepreneurs in order to promote women participation towards the developmental activities of nation particularly in the domain of science and technology and to infuse the culture of entrepreneurship among women. Women constitute 48% of Pakistan’s population but the female labor force in Pakistan is less than 25%. Entrepreneurship is an emerging concept in Pakistan. Pakistan stands last on the Female Entrepreneurship Index (FEI) developed by the Global Entrepreneurship and Development Institute (GDI). About 500 women are expected to benefit from the program with at least 70 in each province. Existing and potential women entrepreneurs are the target audience of the program. 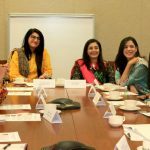 The program is expected to empower women to become entrepreneurs and start their own business by spreading the awareness of tools and agencies available and by employing latest technologies. The firms are invited to submit a Technical Proposal with project design proposal along with a Financial Proposal according to the scope of work given in the request for proposal (RFP) document. The proposal will be the basis for contract finalization with the selected firm. The training program will help women to overcome their shortcomings in the required skills. The “National ICT R&D Fund, Company”, registered under Section 42 of the Companies Ordinance 1984, is engaged in promotion of Research, Development and Innovation activities with a view to creating a knowledge economy. The Company through this RFP intends to invite proposals from qualified licensed/registered legal entities to provide services to train women entrepreneurs to leverage ICT for their businesses. The applicant entities should be on Active Taxpayers List (ATL) of Federal Board of Revenue (FBR).